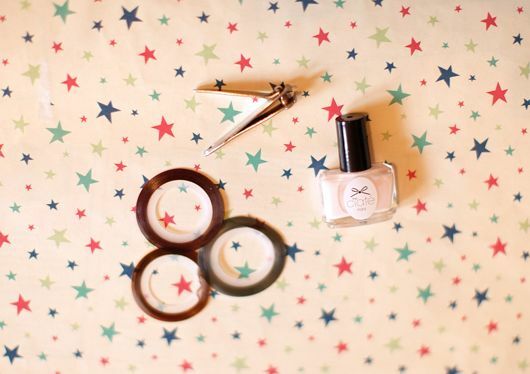 I'm a big fan of nail art--especially if it is rather clean-looking and easy to reproduce at home. Nails that look fancy without the effort? That's the best. So I was quite thrilled to find these rolls of foil nail stickers on Amazon for only a couple of bucks. They come in sets with 10 different colors and the stripes can be applied in any pattern you like--they'd even work nicely as an accent nail. 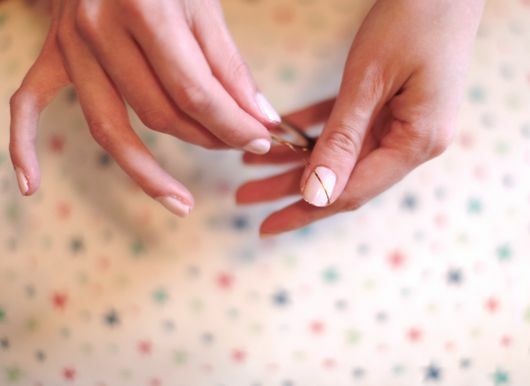 The process: start with a base coat (I used two coats of a pale pink), apply the sticker in the desired pattern and clip it short using your scissors, finish with a clear top coat to keep the stickers in place.